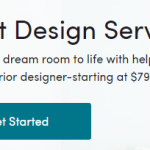 Wayfair has officially announced that its e-design platform, Design Services, is now available to millions of shoppers at a starting price of just $79 for a one-room project. This is great for customers who are looking for a convenient and affordable design solution. 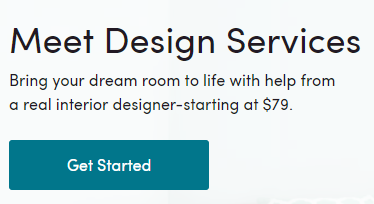 Design Services has two packages: Lite and Classic. The Lite offering is ideal for someone who knows how to arrange a space, but is looking to complete the look. The Classic includes everything the Lite package offers, plus extra phone time with designer, a customer floor plan and 2D room design rendering. To learn more about Wayfair Design Services, go to: www.wayfair.com/designservices.